I’ve already done a review on best mattress toppers as such. The list mostly includes memory foam toppers. But if you want a memory foam topper specifically, and the best one at that, the list will be a little different. It’s quite obvious if you think about that. When you want to buy a topper, you want to buy a topper, simple as that. You don’t really care what unique and specific to its type qualities are more pronounced since you don’t know if what you want is foam or latex or fabric or something else. But if you want to get yourself a very specific kind of topper, namely, memory foam in our case, then you’ve already done some extensive research and want something that will have some specific qualities. That is, compared to other toppers of the same kind. I assume you have done your research. You already know you want a memory foam topper but are yet to decide which one. To help you with that, I’m going to list some of their unique features, features specific to this kind of topper. Let us start off from a feature with a rather questionable value. However, despite its questionability, it is specific to foam toppers only (not just memory foam, mind you). They can be cut into pieces with little damage to their usability. A flippant thing to say, you might object in righteous indignation. But I am being partially serious. I can think of a dozen of reasons for you to cut your old topper. You want to fit it into another bed, one that is too short. You want to fit it into a sleeping bed or a tent. You want your toddler to have a memory foam bedding… Although if that’s the case, ordering >a crib mattress, preferably the best crib mattress, would be a lot better. Lastly, you may be ordering your brand new topper to cut it into pieces to make a bed for your pet. I’m not kidding. Some people do that, you know. Not that you have to cut a topper for the sake of your dog’s good sleep. If you want your dog to have a memory foam bed, do consider ordering Orthopedic Memory Foam Dog Bed instead. That way you won’t lose your warranty by vandalizing the topper. But if you do want to cut it, you don’t want a topper that comes with a cover. The cover would be useless to you as you can guess. Their second feature is more practical. A memory foam topper would usually be a bit softer than a memory foam mattress. The reason as to why is that the former are frequently used with the latter. If you already have a memory foam mattress, and you’re not quite satisfied with it, that may be because it is a bit too firm for you provided it is not defective. For instance, if you’re a side sleeper. In that case, the topper is supposed not just provide support to your body and relieve pressure points, but to let you sink into it until the mattress underneath it takes some pressure as well. That means the desired density rate depends on whether you have a memory foam mattress or a different one. 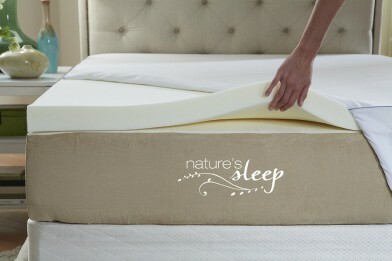 Or even if your memory foam mattress is worn-out. If you have a mattress that is not memory foam or is a defective one, you might prefer a firmer topper to either provide you with some memory foam support or to fill in the sags. Depending on why you want a topper, you might prefer different levels of thickness as well. A very thick topper can be used standalone. I wouldn’t recommend using any topper like that for your main bed, but thick ones are still good for making a bed for a guest and for sleeping when traveling. The denser a thick topper is, the better it would perform standalone. A low-density one would hardly make any difference. 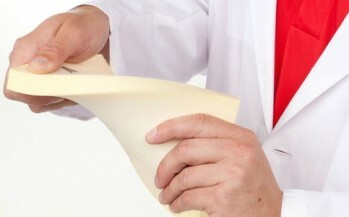 People consider this to be a hindrance most of the time. Manufacturers do all in their power to eliminate or reduce heat retention. Nevertheless, heat-retention is desirable sometimes and has its uses. Heating can relieve a back pain or another kind of pain related to muscles. Please do note I said “muscles”. Heat is only helpful when the pain is muscle-related: spasms, knots, and cramps. 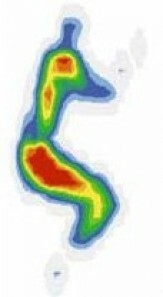 Even then, proper thermotherapy is still a better solution. If the pain has a source different from muscle spasms and such, heat-retention might prove useless. 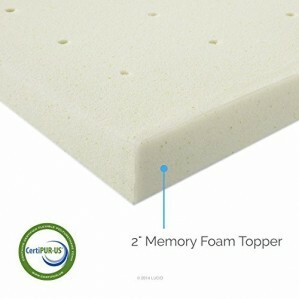 You might think a memory foam topper will help you to feel warmer on an air mattress but it can only help you so much. An air mattress is essentially a heat sink that exchanges heat with the environment too easily. Oh, you would feel warmer on a memory foam topper on top of an air mattress in winter but only barely so. The heat-retaining properties of memory foam are not controllable and only exist as a side effect which can be exploited. But it is still a side effect rather than something intended. This memory foam topper is three inches thick, not something you can’t just shrug off. The thickness makes it a good choice. While I’m a strong believer into density rate, I know very well that thickness matters too. And the 20 years warranty makes it all even better. Just think about it. Twenty years. For a topper. I couldn’t believe it when I read it, so called the company and they told me that, yes, it really is 20 years. That said, the density rate is low. 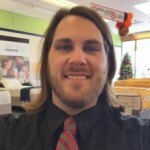 If you have a memory foam mattress and like to sleep soft, that won’t be an issue for you, in fact, that would make the topper all the better and you might want to read the reviews on Aamzon.com so you can buy it. But if you don’t or if you want to counter sagging, be careful. The three inches are good enough for many, however, if you’re about two hundred pounds or heavier you will find the topper too soft. The topper can be rolled for storage just fine, but I wouldn’t recommend folding it. A topper thinner than the previous one, Lucid Linenspa comes in 10 sizes: Twin, Twin XL, Full, Full XL, RV/Short Queen, Queen, Olympic Queen, Split Queen, King, and California King. A very good choice. For the price, at least. Due to the size variety and ventilation, it is well suited for campers and hot sleepers. Sure, few campers would appreciate King Size. But much smaller sizes? Now that is something that would be of use to them. And the ventilation prevents you from getting too hot and helps to regulate body temperature. That said, it is still a memory foam topper, and their main trait is that they trap body heat. 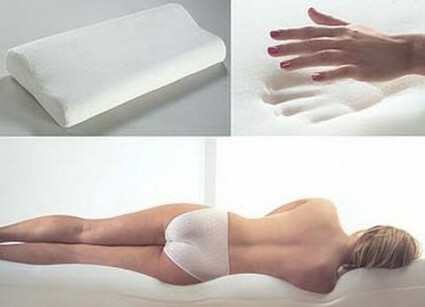 While the ventilation does make it more bearable, a gel memory foam topper would be an even better choice. A more expensive one as well, but you can’t have it both ways as long as we’re talking memory foam. The topper is made an inch shorter on all four sides so that the sheets would fit both the topper and the mattress it is put on top of. 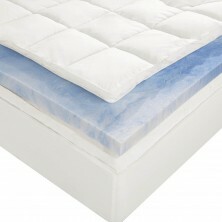 The topper is also very good for side sleepers due to its softness. But, if I had to compare, I would estimate this one a pound denser than the previous topper. Which is a good thing since it isn’t just as thick. The bad thing is it barely hold handprints. It does, but not for long. Still enough to count as memory foam, however, not enough to call it the best one. Otherwise, it is a good topper. You can read 1800+ customer reviews on it on Amazon.com. If I didn’t know it was a topper, I would have doubtlessly mistaken it for a mattress. Ii is four inches thick and has two layers at that. The memory foam layer is only about two inches thick. Just like the previous one. The difference is it is gel infused memory foam. Meaning, it provides a cooler sleeping experience. It would, anyway, but it is the bottom layer. The topper has also a plush layer, and that one is on it, isolating you from the memory foam is no so cold itself. That means that sleeping on this topper is hotter than it might have been. Make no mistake, it still is not overbearingly hot, but can be hot nevertheless. Amazingly, the price is low. If your least issue with memory foam is sleeping hot, and you want it cheap, don’t waste your time and order it on Amazon.com right now. But if you expect something else from a topper, read some more. It is a hybrid topper, and the top layer is kind of heavy. It may be difficult for one person to handle. But despite that, it is very soft. In my previous review, I gave this topper the fourth place. No other memory foam topper scored better. Today, I give it the 2nd place. Why not the first? Well, there is a reason to that. As I’ve already said, if you want a memory foam topper, that’s exactly what you want. And, unfortunately, this topper has no protective cover. For many other toppers that would be hardly an issue, but this one is very fragile and prone to developing cracks. It is not a memory foam topper you’d want for your main bed unless you’re buying a cover for it. But it is the best choice for camping and guest beds. Still, since you want a memory foam topper specifically, this should be a major drawback. So no, not the first place. Aside from that drawback, this topper is perfect as far as memory foam toppers go. It is thick (three inches, to be exact), it is dense. It is also cheap and eco-friendly. And it is cool at night since it is made of CoolFlow memory foam. The density rate makes is a good choice for mattresses different than memory foam. It doesn’t matter if that is an old guest innerspring bed or an air mattress. It would work magnificently with either. If you don’t trust an air mattress to survive long enough but like traveling and sleeping in comfort, get this topper on Amazon.com and don’t worry about punctures any longer. This topper deals with the most common memory foam issue, the heat. It is cool to sleep. It doesn’t trap and reflect your body heat. Not quite as thick and neither as dense as the previous position, the topper is dense enough and thick enough. And it is not known for degradation. The topper comes with a plush fiber cover. The cover makes your sleeping experience so much better and makes the topper (and the mattress as well) look better, too. It may be soft, but it is not thick enough for you to sink in it. That makes sleeping on a firm or medium foam mattress extra-comfortable, even if it’s basic foam. On an air mattress, however, this may seem too soft. On a hard surface, you’d feel it through the foam unless you’re lightweight. You can order this memory foam topper on Amazon.com. 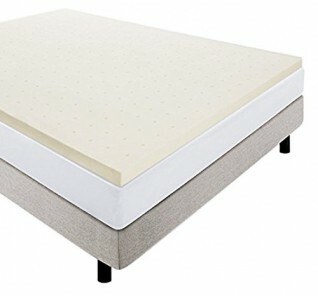 There’s only so much firmness and coolness a memory foam topper can offer. But even then, there’s still a lot of differences. As you’ve seen, the best memory foam topper include a hybrid topper, toppers designed for cool sleeping, dense toppers, and soft toppers. Both dense and soft toppers have their uses. 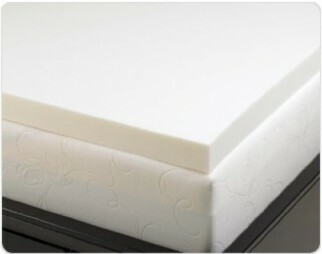 Softer toppers are better for side sleepers, as long as you have a memory foam mattress. 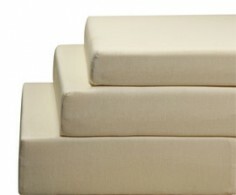 A denser topper is better for using it with a different type of mattress or even as a standalone item.